Katrine Cecilie Munck, a Danish-born half-Estonian, went on an exchange trip to Estonia – and now wants to inspire others to see what a beautiful country it is. 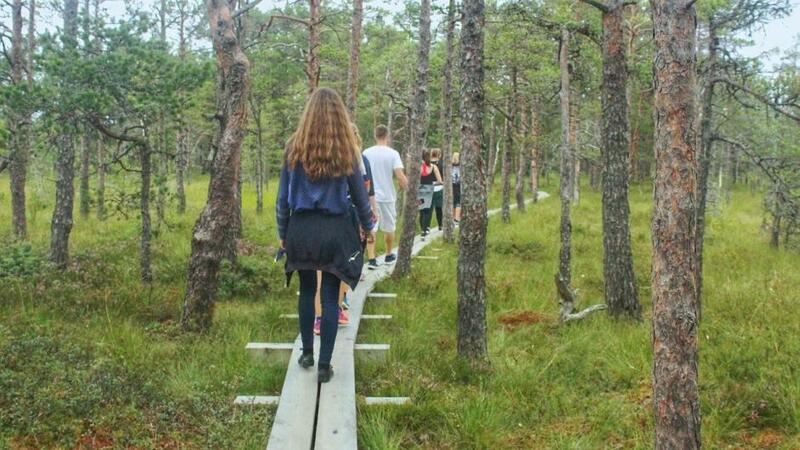 Never had I been able to share my interest in the Estonian nature, the culture, the people and the language as much as I did when I went on this unforgettable exchange trip. 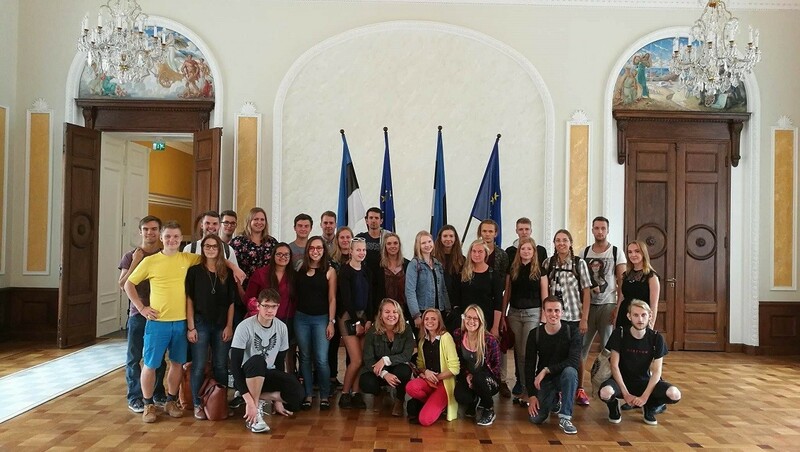 This summer, I went on an exchange trip called “Back to Our Roots”, which was organised by the youth and civil society organisation, Seiklejate Vennaskond, and funded by the Estonian ministry of education. I went along with several other young people who all had a relation to Estonia. The main purpose of the trip was to introduce us to the Estonian culture and language during a 10-day trip. It was particularly interesting for me because of the fact that I had never met any other young person who had an upbringing outside of Estonia, but still had Estonian roots – like myself. I was born and raised in Denmark with a Danish father and an Estonian mother. Due to my mother’s chaotic new life after moving to Denmark, where she found herself newly married with a child, studying at university as well as learning a new, particularly difficult language, my mother never got to teach me Estonian as a child. Nonetheless, that does not mean I feel any less Estonian. In fact, when reading about the exchange trip, I saw this as a great opportunity for me to meet people who were in the same situation as me. I hoped I would gain some friendships throughout those few days, and indeed I did. The first few days were spent in Tallinn, the capital of Estonia, where we got to know each other by playing different games and using icebreakers. The people who participated came from every corner of the world – Europe, South America, Canada, Australia, New Zealand, as well as the United States. Even though there were so many different cultures gathered into one group, little did we realise that the next 10 days were going to bring us all together. The first couple of days were spent eating delicious Estonian food, visiting Mektory, which is a collection of start-up labs within the Tallinn University of Technology, as well as a start-up hackathon, Garage48. Estonia is famous for its lucrative opportunities for starting up a business. By visiting these places, we developed a deeper understanding of how they pursue to gain a higher interest in the tech industry among children and young people, as it seems this is where many jobs will be available in the future. A day was also spent visiting the Estonian parliament, Riigikogu, and learning more about the Estonian political system. After that, we drove to the Viru bog, in which a long trail goes through the forest and marsh landscapes in Lahemaa National Park. The nature was beautiful and it was refreshing to have a walk in the truly fresh air. The Estonian territory is covered in 50% forest, which makes it ideal for anyone who wish to experience nature unaffected by humans. The following days were spent in a small town called Käsmu on the north coast of Estonia. It was very calm and the opposite of what we had experienced in Tallinn – we went to sauna, went for relaxing walks to the seaside and had Estonian language lessons, which were held in an entertaining and joyful way by playing games and engaging with one another. Later, we travelled from Käsmu to further down south in Taevaskoja where we went on a thrill-seeking canoe trip as well as being taught how to dance traditional Estonian dances. After having experienced the Estonian nature, it was time to go to the second biggest town, Tartu, which is known for University of Tartu and the student atmosphere that follows with it. After a visit to the university, we were informed about the endless opportunities for not only Estonian students, but also for international students like ourselves. 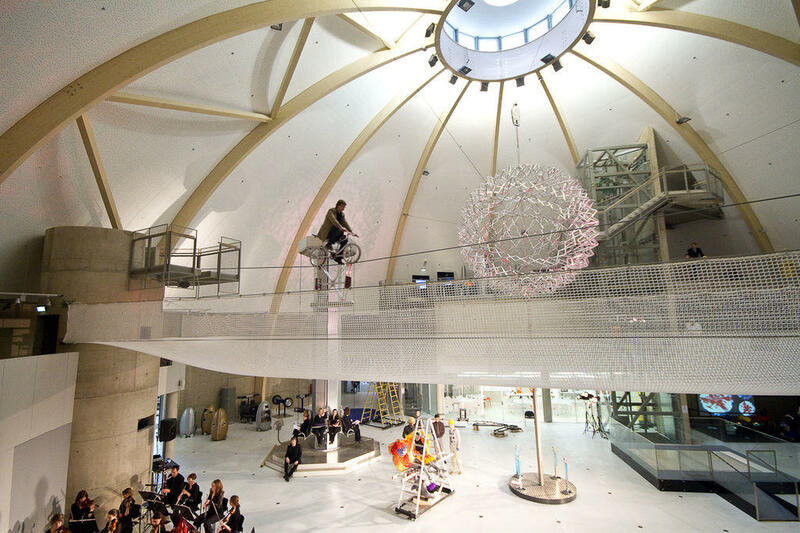 The days in Tartu were spent visiting the newly-opened national museum and trying out fun activities at the AHHAA Science Centre. Back in Tallinn, we visited an exciting and successful Estonian business called TransferWise that provides cheap and fast currency exchanges across the world. We also had a tour of the presidential palace and a visit to the education ministry, which made the entire trip a possibility and gave us an insightful presentation of our study opportunities in Estonia. The very last day was spent doing an Estonian language “test”. We were split into groups and had to ask strangers on the street about different things in Estonian. It really pushed one to the limit, and, especially because the Estonians tend to be quite reserved and keep them to themselves, it was not always that they were interested in talking to us, especially when we spoke very poor Estonian. Nonetheless, it was an interesting way to force oneself to speak a bit of Estonian and try to engage with the locals. After having “passed” the exam, we were all knighted to be “rahvuskaaslased”, which means repatriates and was the main theme of the trip. Repatriate is defined as “to restore or return to the country of origin, allegiance, or citizenship” by the Merriam-Webster dictionary. Among the people I got to know there were some who had never been to Estonia, despite them having an Estonian parent. For them, they did indeed return to their country of origin and when seeing their expressions of wonder and intrigue when walking around the old town of Tallinn, it made one realise that you lose the sense of excitement when seeing a place several times. I have been to Estonia countless of times, as well as most places around the country. Thereby, for me, the trip was not about exploring Estonia and the culture, but meeting people like myself – people who were proud of their Estonian roots and had the same thrills about rye bread and picking chanterelles in the forest. The trip was beyond any of my expectations. I did not think I could become so emotionally attached to the people, the places, the things we did as much as I actually did. We had become so close to each other that tears were shed and shared on the last day before going to the airport. I had achieved just what I hoped for. After not having known any other young person who had roots in Estonia, I finally had an entire family of “rahvuskaaslased”. I now have people who I can share that excitement with. I now have people who I can share the confusion with when realising there are the overwhelming amount of 14 cases in the Estonian language. But most importantly, I now have people who I can share my love for Estonia with – and for me, that’s has been the most enriching part of this memorable and life-changing trip. Cover: “Back to Our Roots” group hiking in Viru bog. Pictures courtesy of Katrine Cecilie Munck and Estonian World. Katrine Cecilie Munck is a student, currently spending her first month in Belfast doing a bachelor’s degree in politics, philosophy and economics. Despite being born and raised in Denmark, she is half Estonian and extremely proud to call herself Estonian. She has always had a huge interest in the country and the people and hopes to inspire her fellow Estonians to see what a beautiful country it is.